The people who test cars for a living really love the Mazda CX-9 crossover. While many three-row SUVs are lumbering, wallowing beasts, the CX-9 is responsive and fun to drive. That, of course, is why car testers love it. And it is also why you may or may not love it, depending upon what is important to you and your family. When it comes to choosing a family vehicle, performance and handling might not be as high on your list as cargo space or seating accommodations. With the CX-9 there are some tradeoffs you have to make to reap its performance rewards. And there are interesting contrasts of opinion that are indicative of the tradeoffs. The leading consumer reporting nonprofit, for example, gave it a low score for reliability but also gave it an above-average mark for owner satisfaction. That’s the dual nature of the CX-9. For a vehicle that is beloved by the enthusiast writers, it is strange that it is far from the quickest of the mid-size three-row crossovers in zero-to-60-mph acceleration. Despite its overachieving turbocharged engine, the CX-9 is only middling when you put your foot in the gas. So why do testers love it? We have one word for you: cornering. The suspension is meticulously tuned to offer roadholding and transient handling that is well beyond the capabilities of competitors. Torque vectoring lends a hand, and braking is equally well calibrated. When choosing a seven-passenger crossover for negotiating mountain switchbacks, the Mazda CX-9 is the odds-on pick. 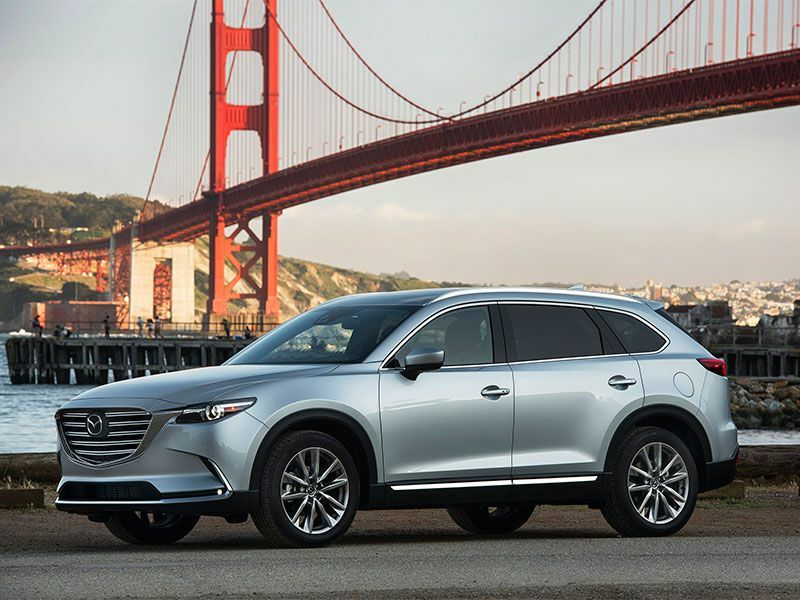 Moderate off-roading isn’t out of the question in an all-wheel-drive-equipped CX-9 either, although there are better mid-size choices for that duty. For the prime three-row crossover use of school carpool and taking the kids to softball practice, the CX-9 is just fine, too. Ding! Ding! Ding! We have a winner! 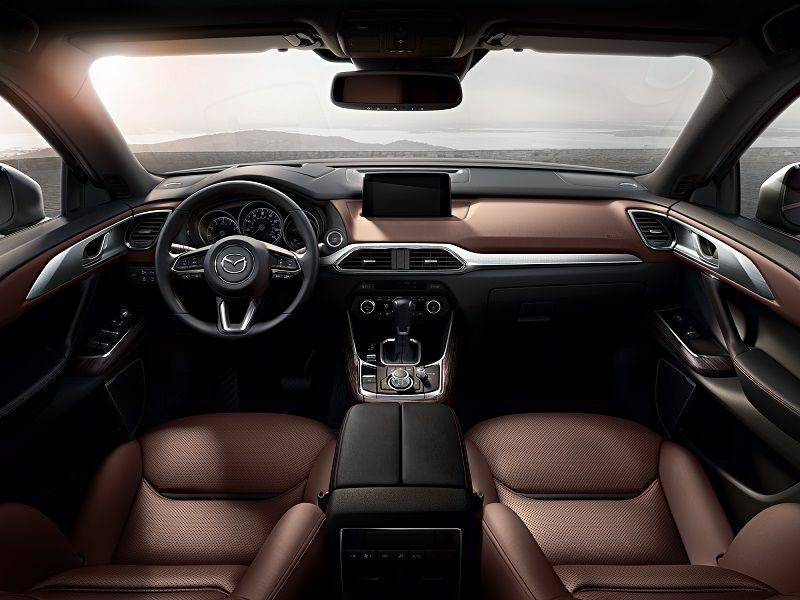 The Mazda CX-9 has our favorite interior in the class. And that’s saying something, because interior design is stellar in this segment. But the thing that sets the CX-9 apart is that its interior looks and feels like it came from a much more expensive vehicle. There are luxury touches everywhere, from the available leather-trimmed interior to the way the infotainment system is controlled. Three-zone automatic climate control is standard, and there are eight cupholders supplemented by bottle holders in the front and rear doors. As you climb into higher trim levels, you can add power-adjustable seats, a heated steering wheel, and heated second-row seats. In the top-level Signature, the seats are covered in supple Nappa leather and genuine rosewood festoons the interior. One area in which the Mazda CX-9 really shines is its infotainment system. Many systems in this vehicle segment are touchscreen-oriented. The base Mazda system uses a 7-inch inch full-color touchscreen display, but it can be controlled by a rotating knob or by voice as well. The Mazda Connect infotainment system adds Aha, Stitcher, and Pandora internet radio integration and SMS text-message audio delivery and reply. An 8-inch touchscreen unit with much the same functionality is standard in the Touring trim. 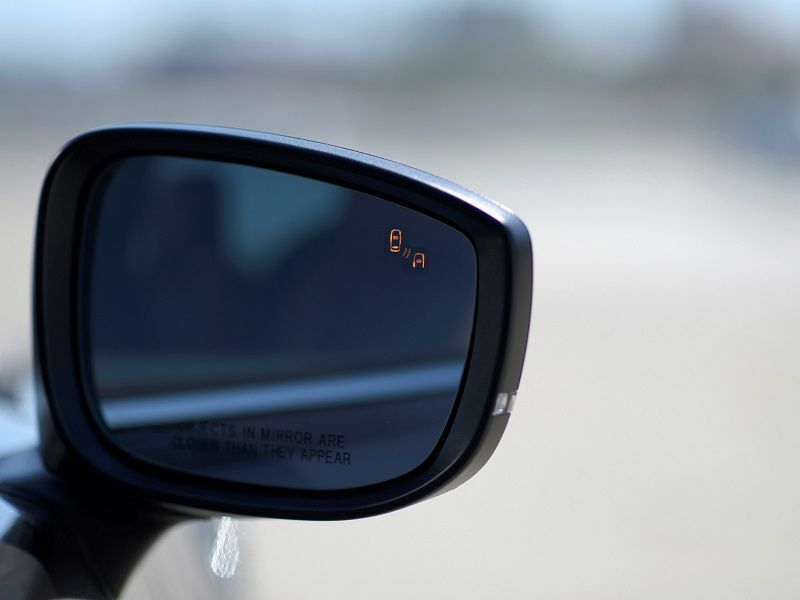 In Grand Touring and Signature models SiriusXM satellite radio and Bose 12-speaker audio are added to the list, as is a very usable head-up display. The big shortfall is the lack of Apple CarPlay and Android Auto compatibility. 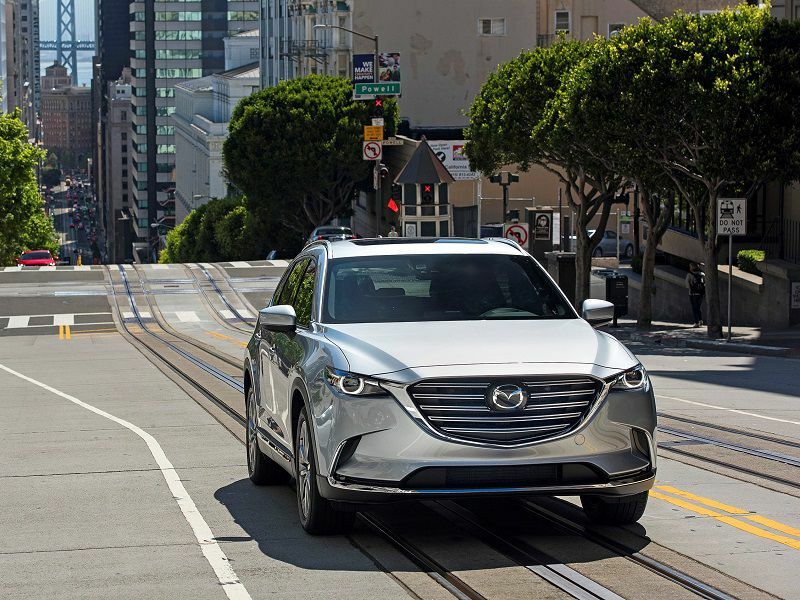 The CX-9 has a distinctive exterior that, like its interior, signals a vehicle that is upscale of its price. The vehicle’s front end is dominated by a huge grille, which is flanked by LED headlights. LEDs are also used for taillights and daytime running lights. Even the base model features 18-inch alloy wheels, dual exhaust outlets, and a body-colored roof spoiler. The Grand Touring is equipped with 20-inch alloy wheels and features LED foglights and an adaptive front lighting system that aids cornering in the dark. The Grand Touring model also features satin-finished roof rails. 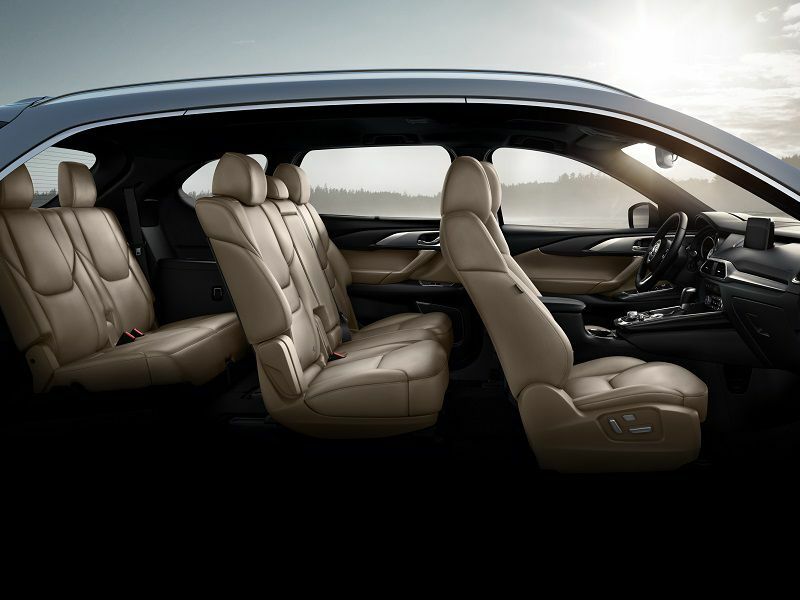 With an overall length of 199.4 inches, the CX-9 is in the middle of the class in terms of size. Its low 67.6-inch overall height contributes to its good looks, but it also diminishes its interior space. 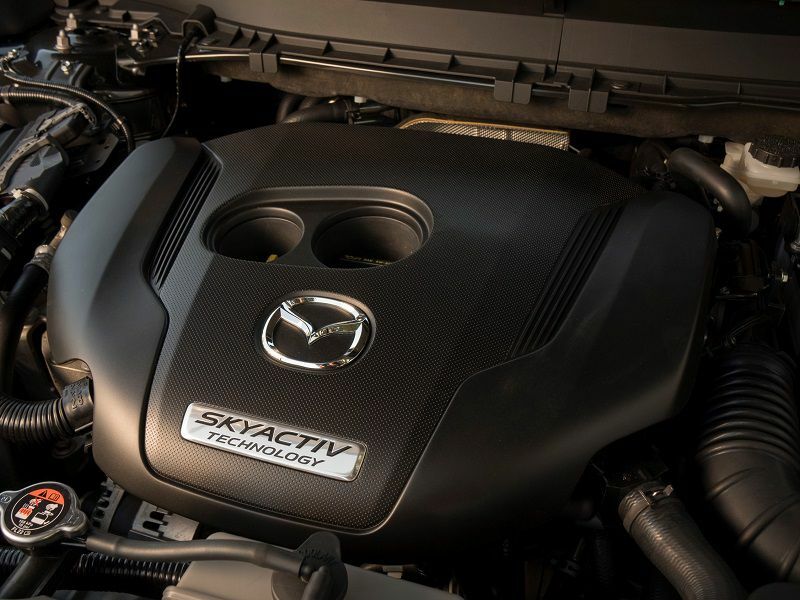 If you buy a 2018 CX-9, it will be equipped with Mazda’s innovative SKYACTIV-G 2.5T 2.5-liter turbocharged four-cylinder engine. One oddity is it delivers 227 horsepower on regular gasoline and 250 horsepower on premium. With either fuel, it offers a very robust 310 pound-feet of torque. The engine is coupled to a six-speed automatic transmission with manual shifting mode. Another unique aspect of the powerplant is the Dynamic Pressure Turbo that has the ability to vary the degree of exhaust pulsation by engine speed, enabling earlier boost. This results in quicker and stronger torque delivery, helping lessen “turbo lag.” Fuel economy for the front-drive 2.5-liter is 22 mpg in the city, 28 mpg on the highway, and 24 mpg combined. For the all-wheel-drive version, it’s 20 mpg city/26 mpg highway/23 mpg combined. So the CX-9 handles better than other three-row SUVs. It looks great. 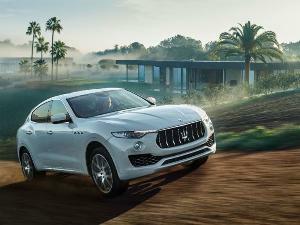 And its interior rivals that of many luxury crossovers. What’s not to like? Well, the interior space might be the one area in which the CX-9 comes up short. Passenger room for five passengers in the first two rows is very good. The two-person third row is much tighter. Then there’s cargo space, what there is of it. With the rear rows folded, the CX-9 offers 71.2 cubic feet of cargo volume, compared to the Ford Explorer’s 81.7 cubic feet. 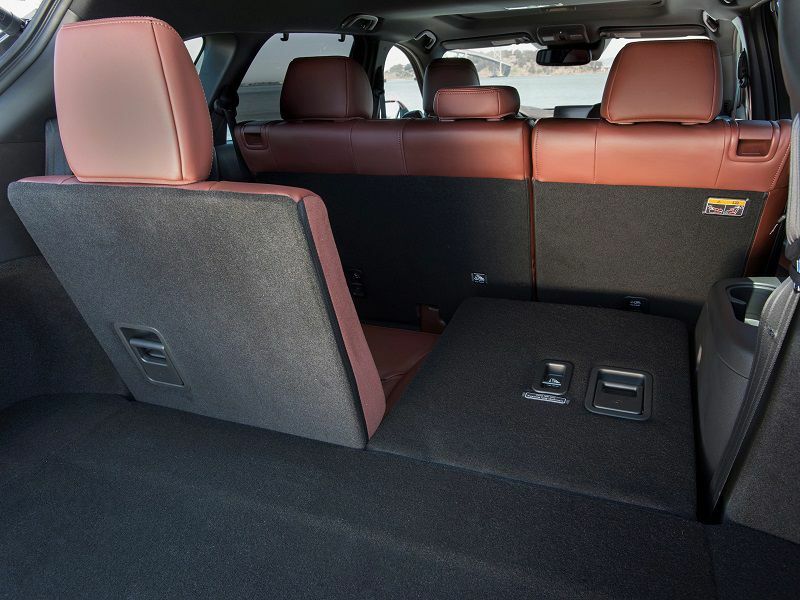 With the second- and third-row bench seats in use, it has 14.4 cubic feet of cargo space. With only the third row folded, cargo space is 38.2 cubic feet. 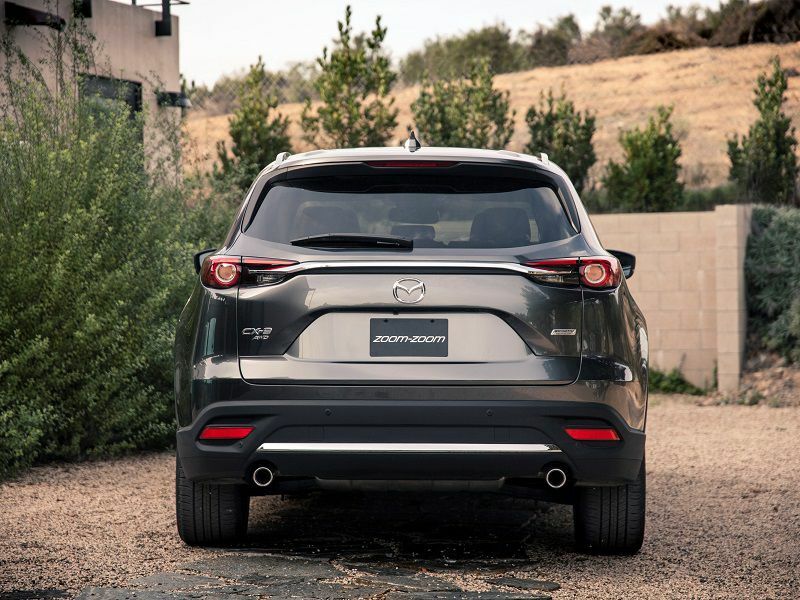 The CX-9 offers 3,500 pounds of towing capacity. Other vehicles in the class can tow 1,500 pounds more. 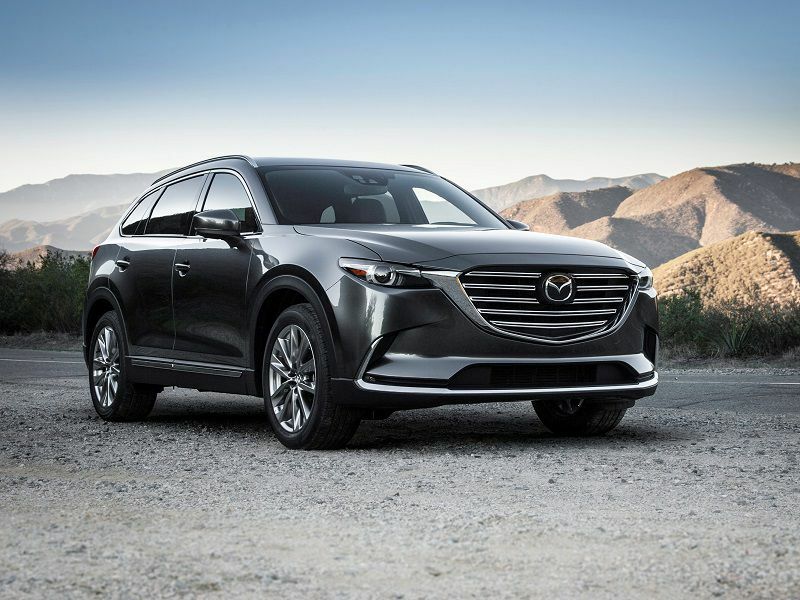 The CX-9’s standard safety equipment helped it earn IIHS Top Safety Pick honors for 2018. 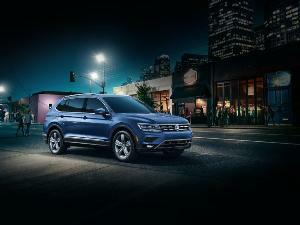 Even more robust active safety tech is available across several trim levels. 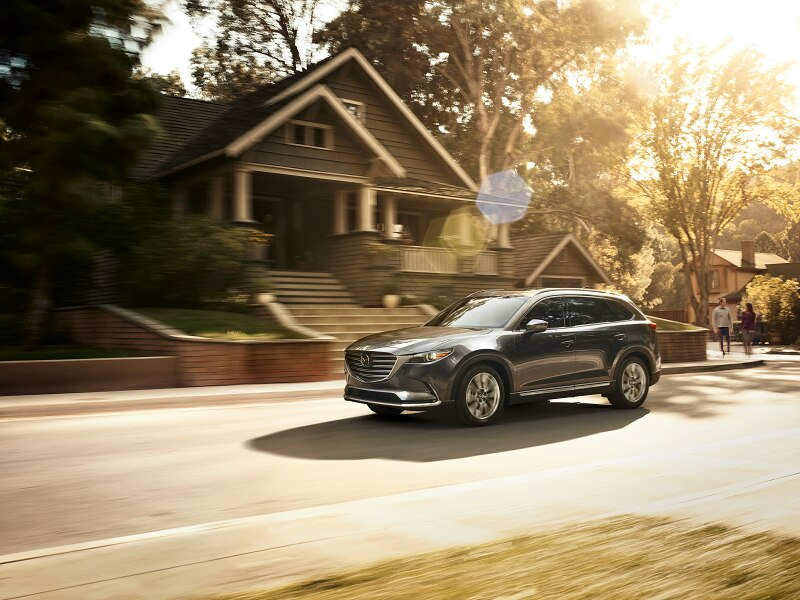 For 2018 base CX-9s offer emergency automatic braking, blind-spot monitoring, and a rear cross-traffic alert as standard equipment. Stability control and traction control are also standard. Touring models add radar-based adaptive cruise control, lane departure warning, lane-keeping assistance and high-beam control. Grand Touring and Signature trims also feature front and rear parking sensors as standard equipment. Advanced dual front airbags, front side-impact airbags and side air curtains — front, rear, and third-row — with roll-over protection are standard across the line. Active on-demand all-wheel drive is optional on every trim. The 2018 Mazda CX-9 is available in four trim levels — Sport, Touring, Grand Touring, and Signature. 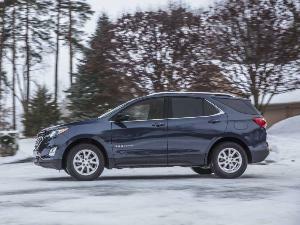 As you might expect in a vehicle that costs more than $32,000, the base Sport version has a number of standard features: alloy wheels, tri-zone automatic temperature control, and a six-speaker audio system with a 7-inch touchscreen among them. The most important additions gained when stepping up to the Touring are safety items like adaptive cruise control and lane-keeping assistance. 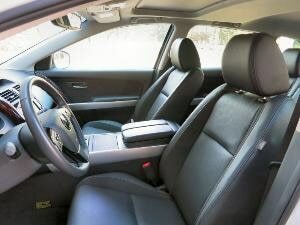 The Grand Touring is littered with luxurious comfort and convenience features and could be the top-of-the-line model. But the Signature, which comes only with all-wheel drive, adds items like Nappa leather and parking-assist sensors so you can bug the servers in drive-through restaurants. For the driver in you, the Mazda CX-9 is a particularly good value. It outshines the competition in handling and roadholding by a significant margin. The lowest-price version, a front-wheel drive Sport, has an MSRP of $32,130 plus $940 destination ($985 in Alaska). The rooty-tooty-zooty Signature trim has an MSRP of $44,315 plus destination charge. The Touring starts at $34,960, and the Grand Touring has a base price of $40,470. Adding all-wheel drive costs $1,800 at each level except the AWD-only Signature. 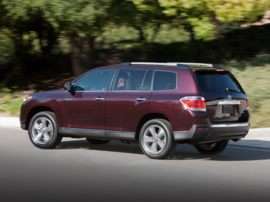 While the vehicles’ dependability might be below average, its owner-base still swears by them. There are a number of three-row SUVs that will tote more people and stuff than the Mazda CX-9, but we can’t think of a three-row we like more. Hey, we’re car testers, too, aren’t we? 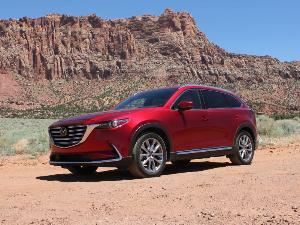 Mazda CX-9 or CX-5 - Which Mazda CUV Do You Need?